A high profile redevelopment project in Huntsville is getting the attention of a major U.S. real estate publication. National Real Estate Investor, the leading authority on trends in the commercial real estate markets, included MidCity Huntsville among 12 of the largest U.S. development projects to be delivered between 2017 and 2018. The agency, which used data from real estate research firm CoStar, focused on projects with at least 500,000 square feet of leasable space. Construction is underway at 5901 University Drive, which was home to the struggling Madison Square Mall for more than 30 years until it was torn down to make way for MidCity Huntsville. “As we continue to see more and more retailers of the last generation announce store closings, it was just a bit more than two months ago Madison Square Mall was still standing,” said RCP Companies Director Odie Fakhouri. Fakhouri said TopGolf is completing steel framing of its new three-level facility at MidCity and is slated to open later this year. 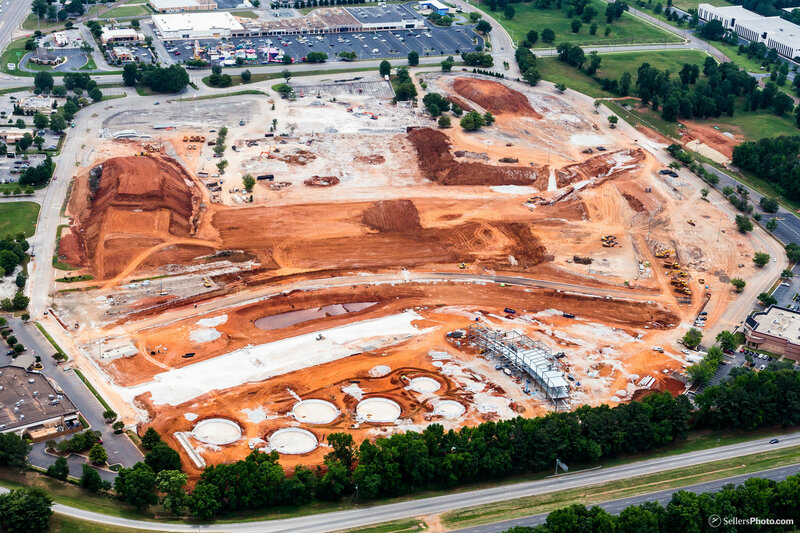 The high-tech driving range, which is also expanding in Birmingham, will feature a 53,000-square-foot venue and 72 climate-controlled hitting bays. TopGolf is planning to start construction in March, and aim for a late December 2017 or early 2018 opening. RCP, which is developing MidCity, expects to give more details about the mixed-use project in the coming weeks. “Public infrastructure improvements (roads, lake systems, and park) are all ahead of schedule and I’m personally excited for our next round of announcements beginning in June,” Fakhouri said. Residents interested in receiving updates on MidCity and information on getting involved can sign up on midcityhuntsville.com/connect. MidCity is a 100-acre community that will have 345,000 square feet of specialty retail, 200,000 square feet of high-tech office space, and more than 900 residential units. 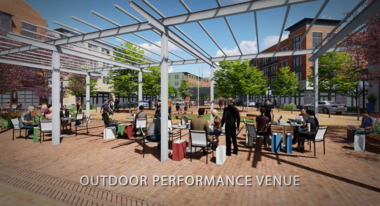 It will also feature a 150-room boutique hotel, an outdoor performance venue, and an artisan food hall and market. MidCity Park: 38-acre public park with an 8,500-seat community amphitheater, a lake and kayak center, bike and running trails, and an outdoor recreation retailer. 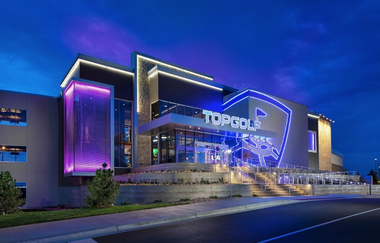 TopGolf will operate a high-tech driving range there and an “Adrenaline Zone” will operate inside the park. Back Street and West Park Promenade: Shops and restaurants, residential apartments above retail, connection to MidCity Park. Area 120: High-tech technology office space ideal for research, development and creative companies, a public plaza and meeting hub, and a science and tech accelerator. Residential District: Trail connection to MidCity Park, adjacent to shops and restaurants, distinctive architecture and amenities. The Point and Jake’s Mews: The “heart” of MidCity Huntsville with a hotel, outdoor performance venue, farm-to-table dining, sidewalk cafes, a food hall and specialty shops. At least 70 percent of the businesses will be new-to-market. RCP Companies for the first time has released a conceptual video of the $350 million MidCity development in Huntsville.